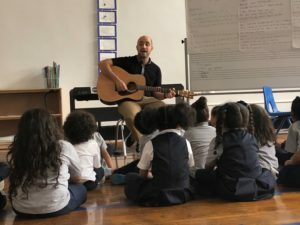 Heartfelt family performances, HUGE smiles, and growth are the big stories from WHIN Music Community Charter School in New York, NY. 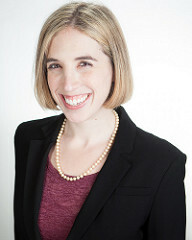 This week’s blog has that and more as we talk with Anne Cohen, Director of Music at WHIN Music Community Charter School! Mission: The Washington Heights and Inwood Music Community Charter School (“WHIN Music Charter School” or “WHIN”) provides our diverse student population with rigorous academic instruction, intensive music education and a positive learning environment so that every student can thrive academically and personally. 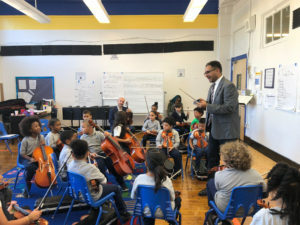 Vision: With a uniquely challenging educational program that incorporates intensive daily music instruction, WHIN fosters innovative teaching methods, imbues students with a love of learning, and facilitates the development of our community through music, academic, and social inclusion. When did WHIN start programming this year? What has been the most exciting part of your program’s start? As a public charter school, we follow the New York City Department of Education calendar. We welcomed our kids back on September 5th, and hit the ground running. It was great to see all our WHINners returning to school with huge smiles, and exciting to greet over sixty new Kindergarteners! I’m not a very emotional person, but every year, like clockwork, I get a lump in my throat when I look over the student roster in August. Over the summer, it’s just names on paper. And then school starts, and holy cow, those names mean so, so much more. A few weeks ago, I received the most beautiful photo from a parent of one of our 1st grade musicians: mom sitting up in a hospital bed, dad cradling a newborn baby, and the newly-minted big sister playing cello for all of them. That one will stay with me for awhile. What are you most excited about this year for WHIN? I’m excited for some fantastic performances, both in our school and out in the community, that showcase our talented young musicians singing and playing together. More importantly, though, I’m looking forward to seeing how the non-cognitive skills we foster through ensemble musicianship play out in other areas of their lives, both in and out of school. What are the biggest challenges you anticipate facing? Our school is growing, and that means our logistical challenges are growing too! Thinking nitty, gritty, how do we get sixty kindergarteners with paper violins on and off stage safely? How do we structure recess for 150 kids when it’s twenty degrees outside? Thinking bigger picture, how do we ensure we are meeting the academic, musical, social/emotional, and safety needs of every child in the building? It’s a challenging and ultimately thrilling question, and the entire WHIN team is doing amazing things every day. What are you most excited about in your first year in the PRESTO Cohort? I’m excited to learn alongside, and from, my fellow PRESTO nucleos. It’s inspiring to see the great work happening all over the country. We had our first cohort meeting in August in Durham, and the experience was transformative in my own thinking about El Sistema, social change, and why we do this work. A year from now, what do you hope to have learned/gained/accomplished by being a part of PRESTO? I hope that any visitor who comes to WHIN (and I hope there are many!) immediately recognizes the El Sistema spirit in every nook and cranny of our school building. Billy Janiszewski is new to WHIN and teaches Vocal Music at the program. In addition to his work at WHIN, Billy serves as Founder & Artistic Director of Tapestry Choir, Inc., and Assistant Conductor of the Oratorio Society of New York. Colin is an active violist around New York City and has been with WHIN since May of 2018 as an Instrumental Music Teacher. To learn more about WHIN, visit their website! 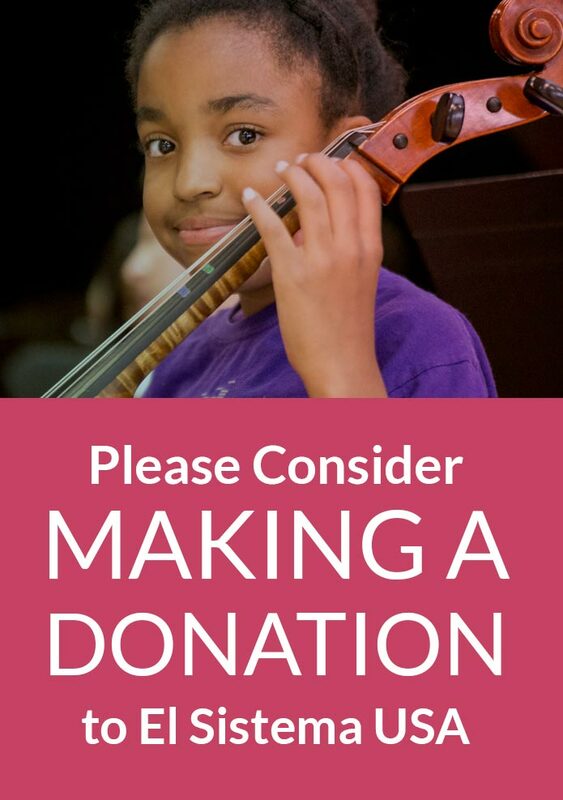 In the Fall of 2018, El Sistema USA launched a 3-year, $1 million-dollar investment into 13 organizations in 11 states across the country to bring free music education to underserved youth. The Program for Rising El Sistema Organizations (PRESTO) is a significant financial investment to support organizational growth and capacity development, and also provides professional development and mentorship resources investing in organizational leadership. You can learn more about PRESTO here.